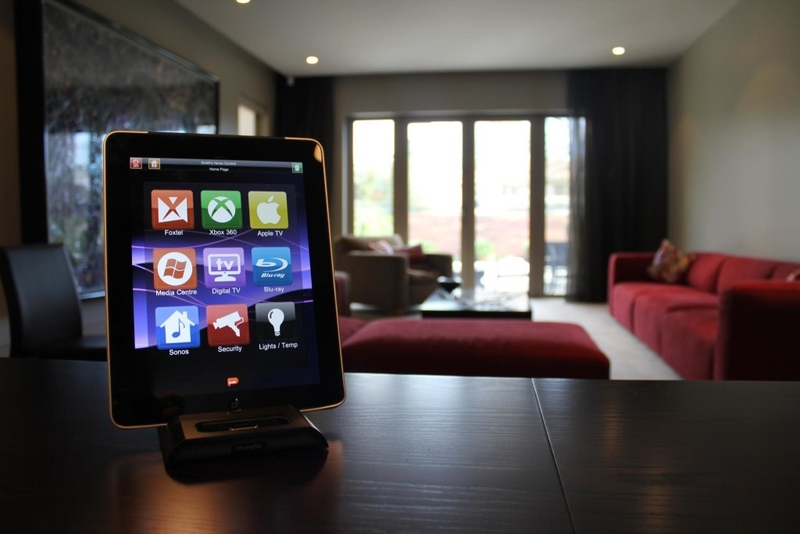 Are you ready to join the smart home revolution but worried that it’s beyond your budget? Have no fear! As it turns out, smart homes aren’t that expensive, and there are plenty of components that the average homeowner or rental tenant can afford. Money is only an obstacle if you want the absolute cutting edge in home automation. On the other hand, if you’re willing to wait until the early adoption phase passes over, these components will drop even cheaper. Waiting is probably the most frugal option, but that doesn’t mean you can’t plan ahead and start eye-shopping today. Here are several components that are obtainable right now for less than $100. The most basic smart home component is the smart outlet or smart plug, which are both the same thing: an extension to your wall outlets that provide better control over the appliances and devices plugged into said outlets. The Belkin WeMo Switch is the most popular one by a long shot, not because it’s the cheapest (it costs $45) but because it has the best marketing and promotion surrounding it, plus it’s easy to use and has a great name. Does that make it the best choice? Not really, but if you run into any issues, it’s comforting to know that there are so many other users of the same product out there. Still, there are several creative ways to use the WeMo Switch that are worth trying. Fortunately, there are plenty of WeMo Switch alternatives that are slightly less versatile but much cheaper as well. For example, the Ankuoo NEO is only $31. But if you want a brand with a better reputation than Belkin, consider the SmartThings SmartPower Outlet for $55. The above-mentioned smart outlets are great for controlling your “dumb” lamps and lightstands, but smart home automation has progressed beyond that. Now you can buy specific lighting systems that incorporate the best elements of smart technology for maximum convenience. The most-recommended solution is the Philips Hue Lightbulb, which is an LED bulb designed to use up to 80% less energy than a traditional bulb. What’s smart about it? Using the smartphone app, you can control it remotely or set it to trigger according to a timer. One bulb is currently priced at $20. Check out our introduction to the Philips Hue system if you need some help getting started with it. Of course if you look around you can find “better” alternatives, such as the LIFX Dimmable Smart Bulb available for $99. Are they worth the price bump? In my opinion, no. Another key component of smart home automation is the sensor. There are a plethora of available sensor types depending on the smart home hub that you choose, ranging from motion sensors to temperature sensors, from humidity sensors to weight sensors. If you don’t know where to begin, the Aeon Labs Multi-Sensor could be a good entry point. It’s a four-in-one solution that can detect motion, temperature, lighting, and humidity, and it communicates using Z-Wave protocol, which is well-known and well-supported. It can be yours for $49. Consider coupling it with a cheap but versatile hub like the Staples Connect Hub, which is available for $49. When combined, you can set the sensor to notify the hub when a particular event is triggered and the hub can forward the alert to your smartphone. Gardening is a wonderful way to blow off some stress and channel your creative energy in a productive direction, but there are some aspects of gardening that are just cumbersome and trivial. For example, remembering to keep everything watered at the right rates. Well, here’s some good news: we’ve covered smart devices for your garden before and many of them are incredible. The downside is that most of the products will set you back over $100. Except for the Parrot Flower Power, which is a self-described “smart plant sensor” that tracks the health of your plants in real time. The information is then transmitted to your smartphone through the accompanying app. It’ll cost you about $60. The Egg Minder Smart Egg Tray can hold up to 14 eggs. It has sensors that track how long each egg has been in each slot so you know when eggs are getting stale or going bad. It also syncs with your smartphone so you always know how many eggs you have at home. When you’re running low, Egg Minder can send push notifications to keep you informed. For $10 it’s a steal, and only one of many smart gadgets you’ve never heard about. The only downside is that the Egg Minder doesn’t have the same dimensions as most standard egg trays, so you may or may not have trouble fitting it into your refrigerator. If your home doesn’t have a surveillance system in place, rest assured that you can build one yourself without having to shell out tons of cash. All you need is a few old smartphones that you no longer use. Set them up with mobile webcam apps like IP Webcam or any other cell phone surveillance app on the market. Once they’re ready, you can use Webcam Watcher as a central monitoring station for the surveillance network. If that’s too basic for you, then you’ll probably want a dedicated smart home security device. These typically cost several hundred dollars, but the D-Link Wireless Surveillance Camera is a good budget option at $47. It allows you to view on-the-go with your smartphone. Server responsed at: 04/23/2019 10:16 p.m.